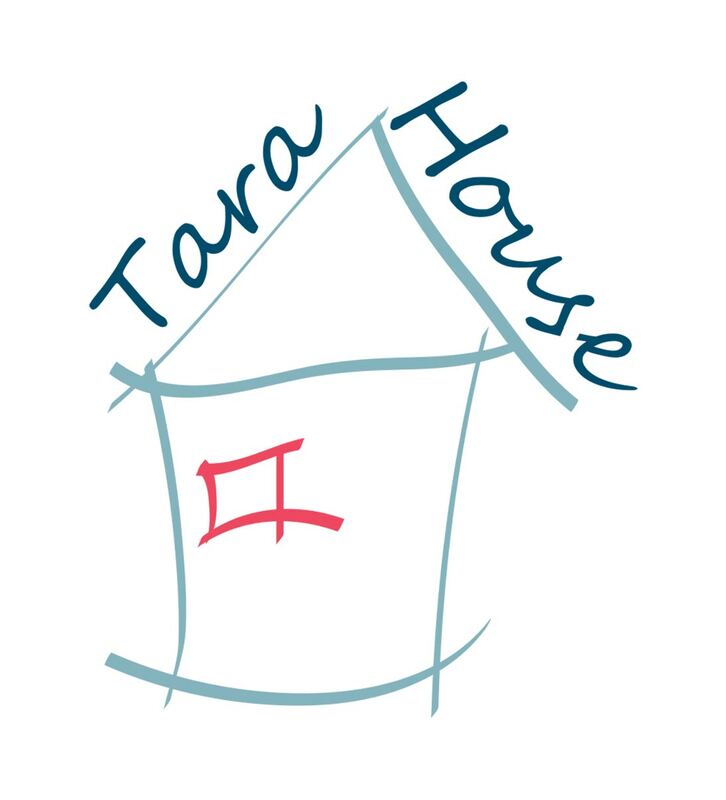 Tara House is a Montessori nursery school in West London. 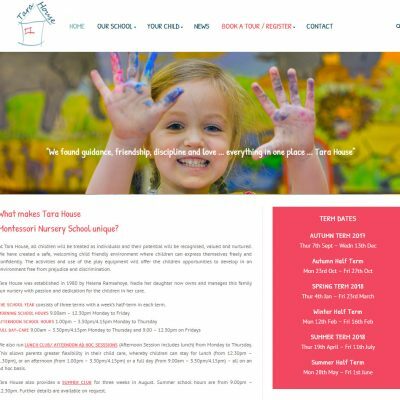 The latest major revamp of the nursery’s website was carried out in the Summer 2017. 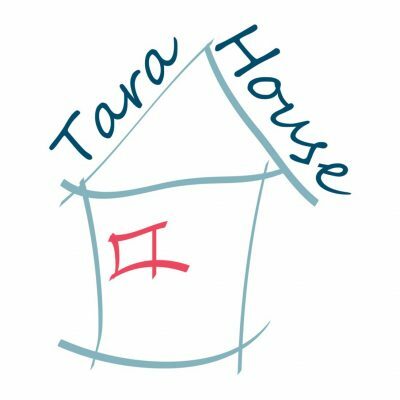 The vibrant fuchsia, the extensive photo gallery and the clean, simple design reflect the happy, friendly and nurturing environment that Tara House offers to children. 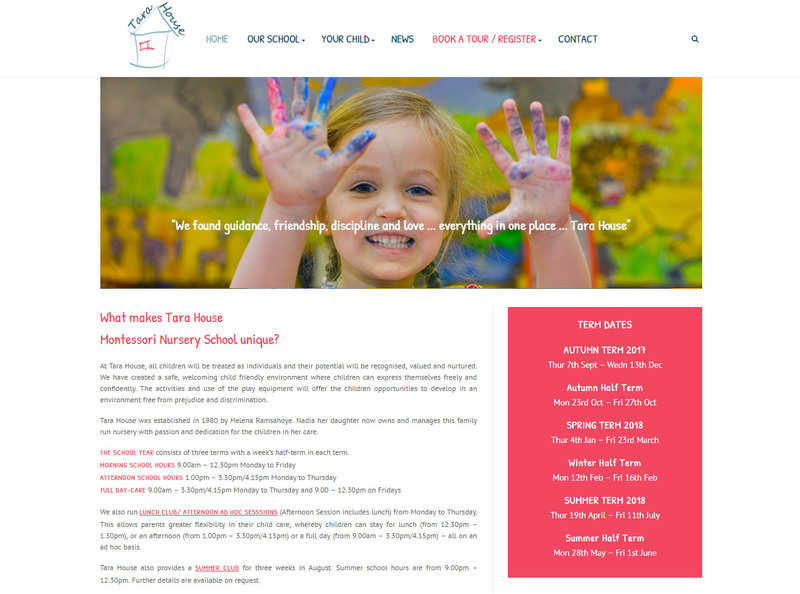 The nursery was recently awarded an Outstanding rating by Ofsted.